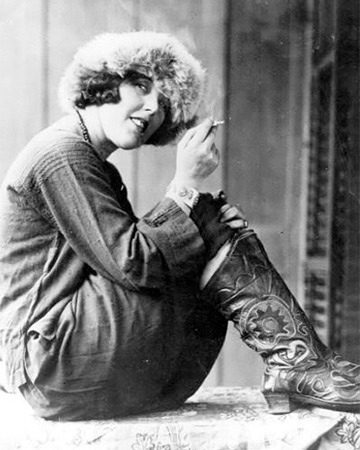 Louise Bryant chafed under the confines of middle-class respectability in Portland, Oregon in the first years of the twentieth century. A college graduate, she worked as the society editor for a local magazine and married a dentist. She detested housework and fell out of love with her husband. Poet Sara Bard Field encouraged Bryant to consider the contributions she could make to society, nudging her to get involved in the suffrage movement, one of the biggest political causes of the era. In 1914, Louise Bryant met journalist Jack Reed. Captivated by his politics and his personality, she moved to New York to be with him. She settled in Greenwich Village and began writing for The Masses. In 1917, Bryant went to France as a foreign correspondent to report on the Great War. When she finished her work on the western front, she and Jack Reed headed off to Russia to report on the revolution there. Bryant published Six Red Months in Russia in 1918. The following year she was on the picket line with Alice Paul’s National Woman’s Party, urging Congress to pass the women’s suffrage amendment. She was arrested and spent three days in jail. Want to know more about Louise Bryant?